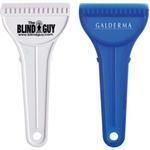 The 3 in 1 Frizzy Ice Scraper is the ideal all in one automotive accessory sure to be a hit promotional item for your business. 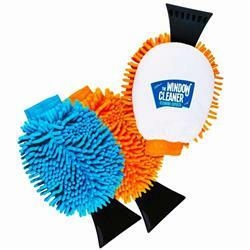 The frizzy mitt can be used to keep hands away from ice and cold while scraping off ice, a duster and even a car wash mitt. 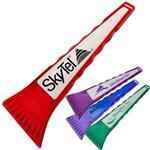 Made from 100% microfiber it is machine washable for multiple uses and the scraper also can be removed. Customize with your logo or design and use a giveaways or even for resale in your store. 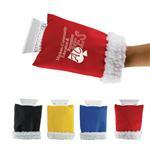 Available Imprint Options: Color Print, Assorted Colors Per Order: Minimum of 50 per color. Imprint color must stay the same on all.